Grave of the Fireflies is one of the saddest Masterpiece ever made. Decades after its original release, people have discovered a haunting, hidden image in the Japanese movie poster. The image on the left is of the Japanese poster in question. 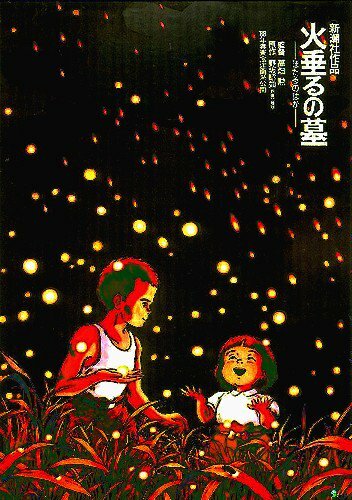 It looks like main characters Seita and Setsuko are playing with fireflies, right? There appears to be a B29 bomber hidden in the blackness. 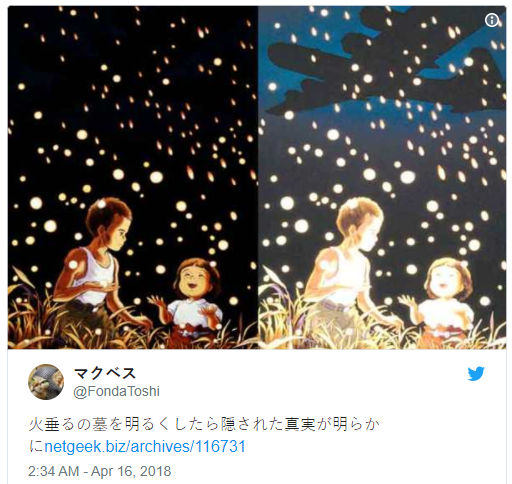 If you alter the colour further, you can see that there’s the round glowing light of fireflies at the bottom contrasted with what appears to be bullets or firebombs raining down. This poster is perhaps one of the most famous in animation, and it’s also depressing as hell, but doesn’t quite pack the same emotional punch upon closer inspection. They should make the leader of every country watch that movie! On the other hand, I better get to the hospital because all of this edge has me haemorrhaging.